All Secure Locksmiths Coburg provide 24-hour mobile and emergency locksmith services in Coburg and surrounding suburbs like Brunswick and Preston. Our team of experts is fully qualified in all aspects of the locksmith industry and can do all work on-site with our fleet of mobile workshops. 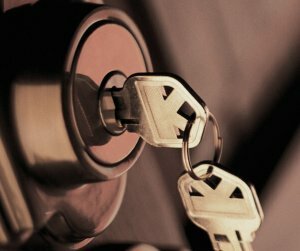 We have been servicing Coburg’s locksmith needs for over 20 years and have built a reputation we’re proud of. Thanks to the detailed and durable solutions on offer from the team at All Secure Locksmiths Coburg locals can lock their doors and windows with confidence that they will help keep them safe from unwanted intrusions during the night. Over our decades of operation we have assisted countless Melbournians from all sections of society keep their doors and windows locked and their premises safe from intrusion. Offering personalised and premium locksmith solutions and advice at a cost-effective price our experts put the needs and desires of our valued customers front and centre. Whether you are after general advice for improving your businesses security systems after a break-in or your key has broken off in your front door’s lock our professional and exceptional team can make your property safer than Fort Knox. It is late at night and, for some reason, you cannot locate your car keys. When you are locked out of your car and need help, turn to the reliable team at All Secure Locksmiths. Combining our passion and unmatched skills our experts can restore your confidence in the condition, quality, and responsiveness of your home or businesses locks, latches, and dead locks. All Secure Locksmiths are the leading 24-hour locksmiths in the Coburg area providing residential and commercial services including auto lockouts. The company’s highly trained and professional locksmiths will arrive on time and have you back in your vehicle quickly, with our services being available 24 hours a day, seven days a week. Sometimes, homeowners or business owners will need to have locks installed, repaired, or rekeyed. All Secure Locksmiths provides these services throughout Coburg and surrounds. We supply a wide range of reputable locks including the most technologically advanced lock system, keyless entry. All Secure Locksmiths can install door locks, window locks, as well as garage and screen door locks. Customers can count on the professional tradesmen at the company to show up on time and even provide a courtesy call before arrival. It is this type of service that has helped All Secure Locksmiths gain a reputation for excellence in the industry. Homeowners and businesses alike utilise safes in their home or place of business to protect their valuables. All Secure Locksmiths are the Coburg locksmiths that can install, repair, and service safes. The company supplies a wide range of different safes including freestanding models, built in floor safes, and bolt down models. Floor safes can be placed in timber or concrete floors and bolt down safes are securely fastened so that they may be moved in the future. All Secure Locksmiths can also be called when your safe malfunctions or cannot be opened. You may have lost your keys or forgotten the combination code, having no way to access your valuables. At All Secure Locksmiths, we’re confident we will be able to open or repair any safe. Should the safe need a new lock or need to be repaired, our experts can easily handle the challenge. In addition to repairs, Coburg locals can also rely on us for general safe maintenance to ensure that the locks are functioning properly. If you need a locksmith in Coburg, Essendon, Gladstone Park, Hadfield, Tullamarine, Reservoir, Moonee Ponds, Glenroy, Campbellfield, Brunswick, Thornbury, or in Pascoe Vale, the answer is clear: All Secure Locksmiths! Arrange a service today by calling our friendly staff on 03 9306 6760 or 0421 149 760.